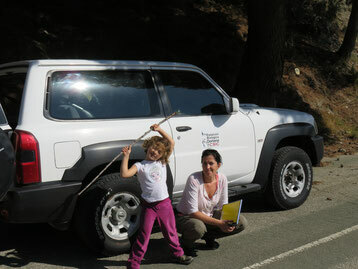 Welcome to Ant Ecology - Site de ant-ecology ! 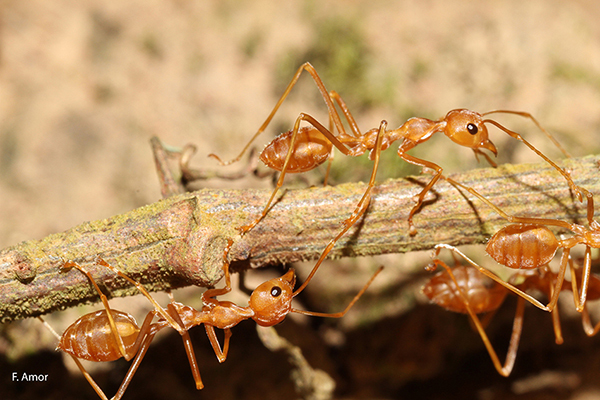 We are a group of ecologists working on social insects and particularly ants. 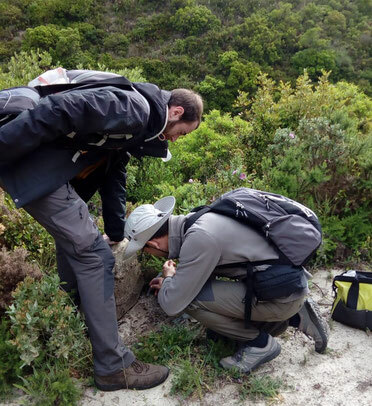 Though affiliated to different institutions from France and Spain, we are maintaining strong and intensive collaborations in various research projects, including invasive ants' ecology, phylogeography and distribution, behavior, chemical ecology and evolutionary genetics. 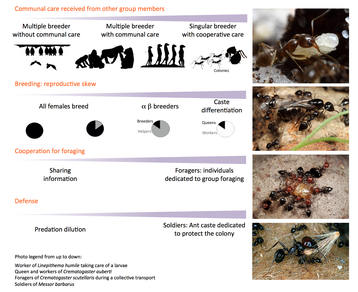 For more information or to integrate the group, please send an email to contact@ant-ecology.eu. Follow us on twitter and facebook. Today was Paloma's defence. She got the highest qualification. 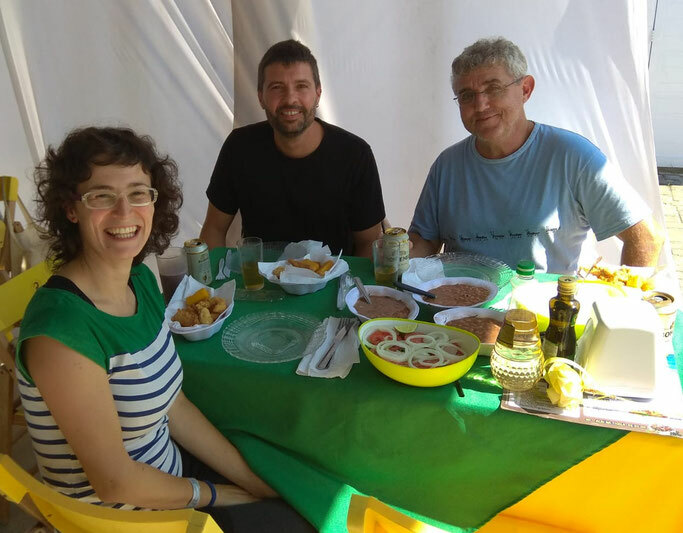 Paloma Xim and Xavi Arnan at the IUSSI 2018 congress in Guarujá, Brazil. 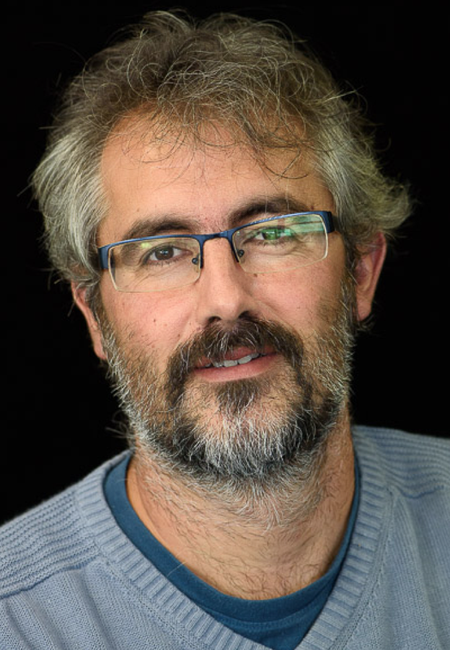 Raphaël Boulay a passionate ecologist and myrmecologist passed away at the age of 44 after a prolonged illness. His orphan lab group will always remember him as an exceptional researcher, friend, husband and father. 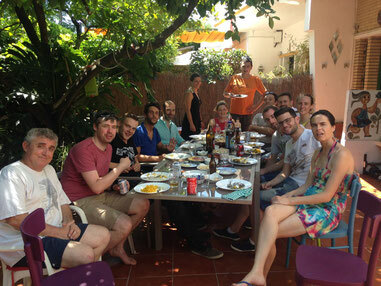 Traditional Paella in Xim's house with part of the ant ecology group, the orientation team, including Antoine, and other collaborators. 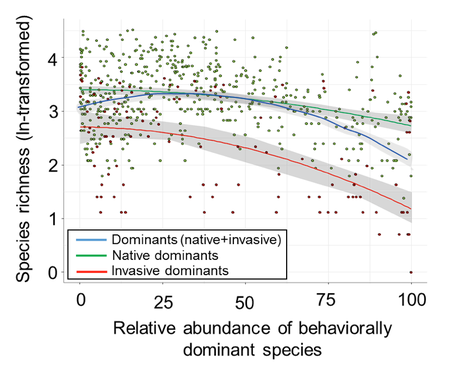 Based on a large data set on ant communities, Arnan et al published a paper entitled "Dominance-diversity relationships in ant communities differ with invasion"
The manuscript is in press in Global Change Biology (available on the website of the journal). 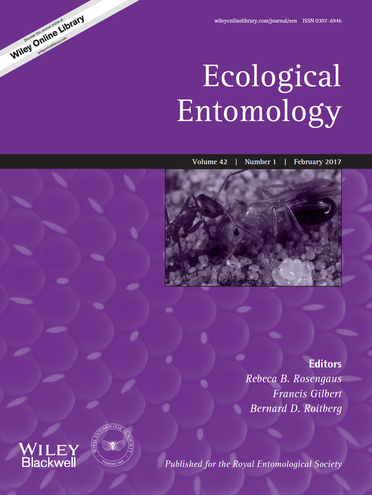 A revision on the evolution and functioning of queen-pheromones in ants has been accepted for publication in special issue of Journal of Chemical Ecology. 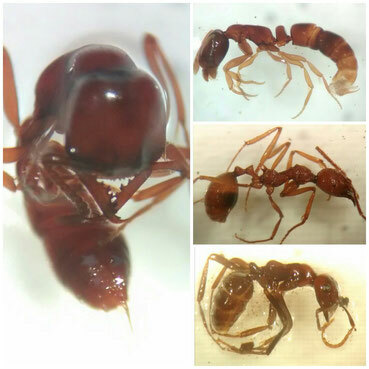 Queen control or queen signal in ants: what remains of the controversy 25 years after Keller and Nonacs seminal paper? 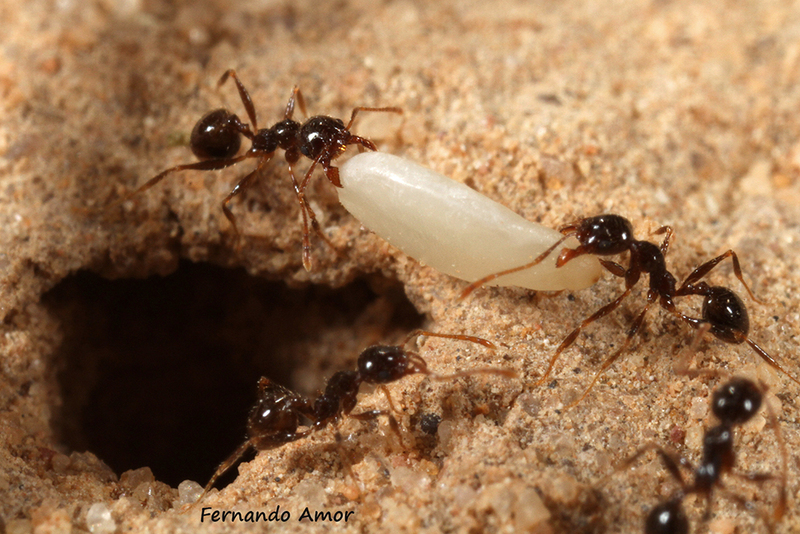 A queen of Tapinoma nigerrimum with her first egg clutch by Fernando Amor. 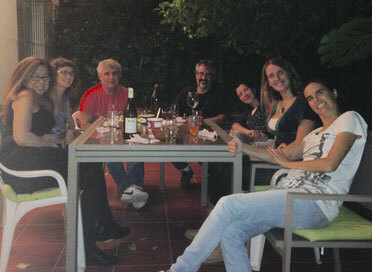 Mathieu Lihoreau, Tamara Gómez-Moracho (univ paul Sabatier) and Joe Woodgate from Queen Mary University of london). 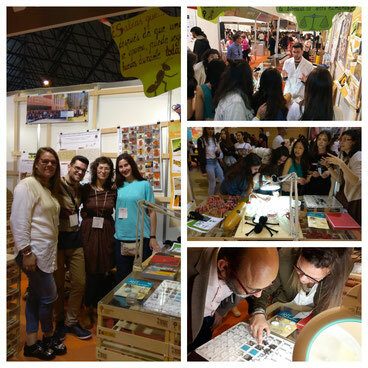 April 2018 - This year again Ana, Paloma and Jota have animated an ant exposition at the Seville Science Festival. A great opportunity to move science closer to citizens. As usual, ants are very successful. 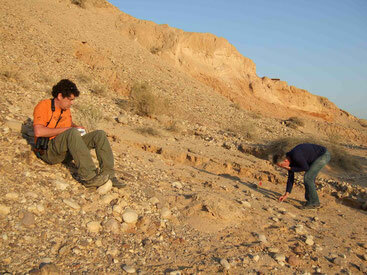 April 2018 - Field trip in the Israelian desert to test the ecological benefit of thermophyly in Cataglyphis ants. 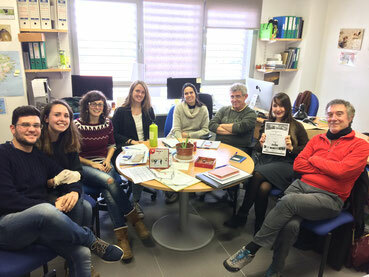 April 6th, 2018 - Preparing field trip to Israel to study desert ants. How to put 2040 pitfall traps in a hot summer and stay optimistic: ant sampling and African dancing (it really deserves to see the end of the video). Featuring Charlotte, Damaris and Jota. Created by Damaris Crespo Funes. 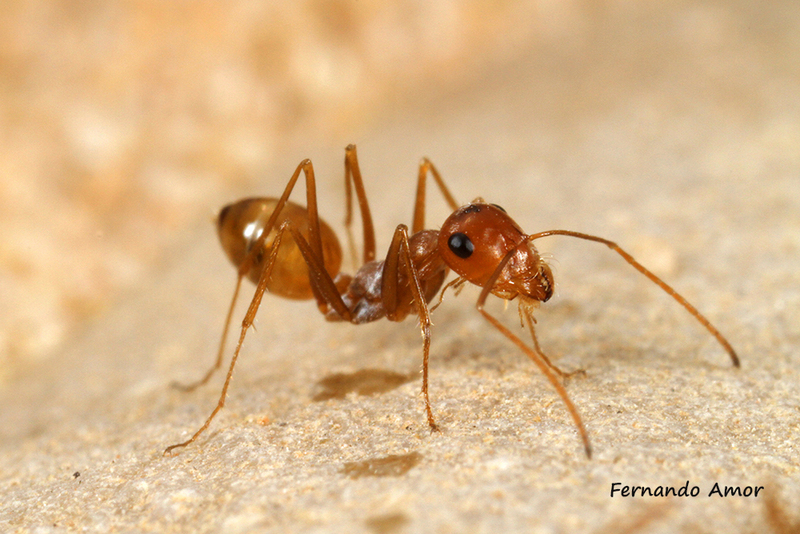 In this new paper we analyse differences of cuticular hydrocarbons between native and invasive Argentine ant queens in relation with their fertility. 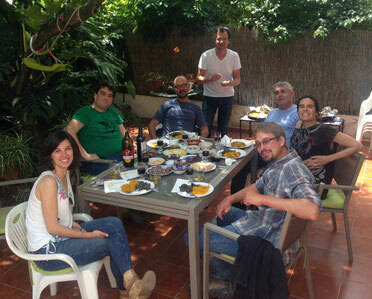 Jota was so happy to present his last results to the ant lab meeting in Seville! Today was Cristelas' defence. She got the highest qualification. 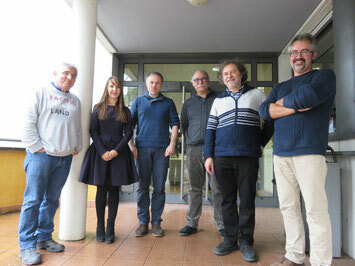 Her jury was composed of Vincent Fourcassié, Thibaud Monnin, Claudio Lazzari (president), Jeröme Orivel (not on the picture because he was in Kourou), Xim and Raphaël. Great defense. Congratulations Cristela! 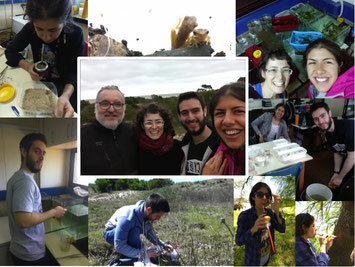 After two months in Raúl Maneyro's lab, Paloma and her students, Lucía Moreira y Juan Pablo Llopart, have been performing experiments to study the interaction between the Argentine ant in its native range and amphibians . 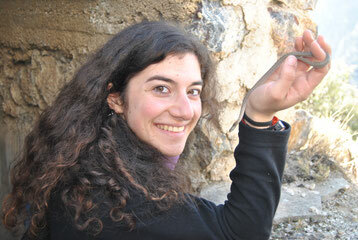 Dalila Djennoune was in France last year and now publishes her first article in Turkish Journal of Zoology. 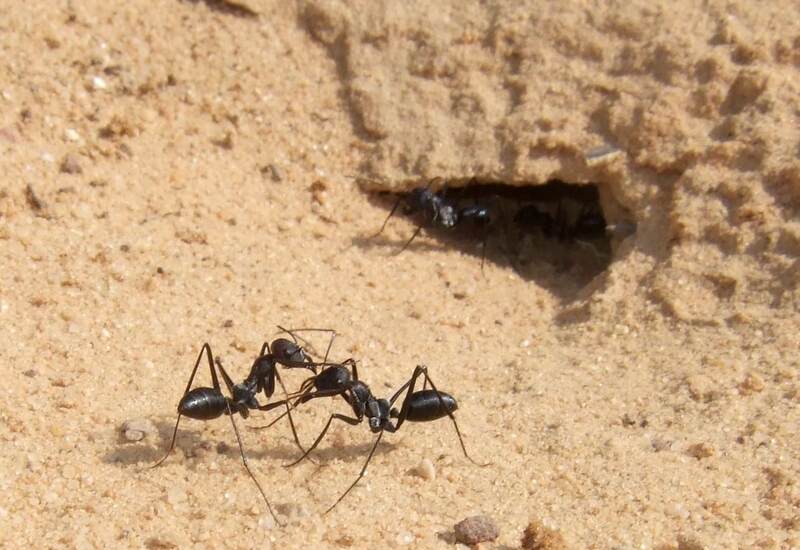 Ants, particularly Messor, are one of the main source of proteins of Algerian hedgehogs in Kabylia. Congratulation Dalila. Dani Sanchez-García just arrived in the group for his master. 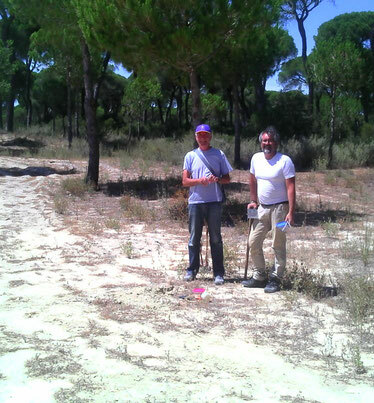 He will work on Doñana ant communities. With the help of Ana! 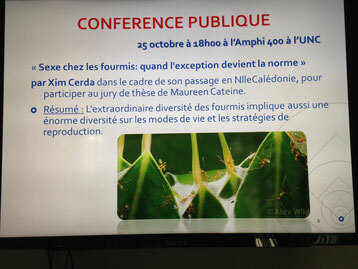 Xim is invited by Hervé Jourdan in New Caledonia where gave a conference on ant sexuality. Paloma arrived at Raúl Maneyro's lab at Universidad de la República in Montevideo (Uruguay). 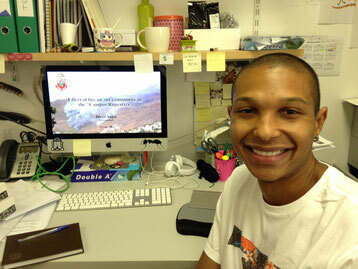 Diego Anjos (University of Sao Paulo) is visiting Jordano's lab at the EBD. 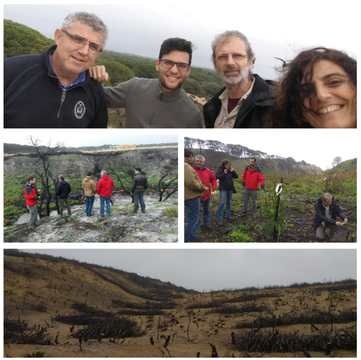 He attended the last Ant-Ecology group meeting to explain his researches on the effect of fire on ant communities in "Campos Rupestres"
Curro Molina has collaborated with J in the identification of 381 bees from 47 species from andalusian burned areas. A very good work! 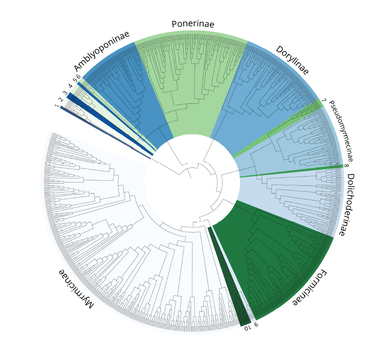 NEW PUBLICATION of Irene, Fernando, Patro, Xim, Raphaël in Molecular Phylogenetics and Evolution. 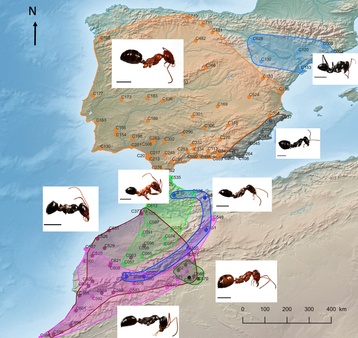 The phylogeogaphy of Cataglyphis albicans in the Iberian Peninsula and Morocco shed new light on species delineation. 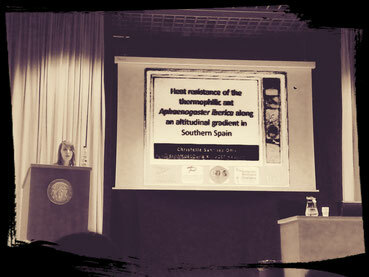 Only three species are confirmed in the IP: C. iberica in the north east, C. rosenhaueri in most of the IP and C. gadeai in the east coast. All three species derive from a unique ancestor in North Africa that crossed the Gibraltar Straits before the Mesinian Salinity Crisis. Xim's interview on a Spanish Broadcast. Field work in Sanlucar de Barrameda with the next generation of myrmecologists. 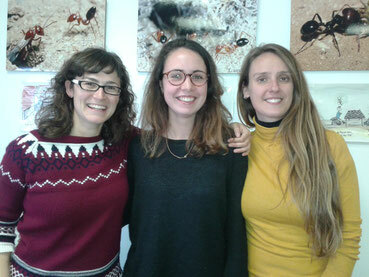 Isabel Salado is joining the Ant-group in Sevilla for two months with a Jae-intro internship. She's gonna work on the Argentine ant supercolonies. 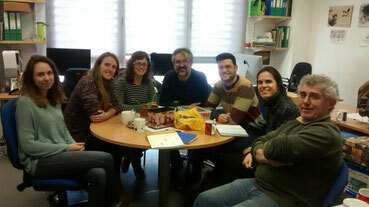 NEW PUBLICATION of Paloma, Xim and Elena in Oecologia. 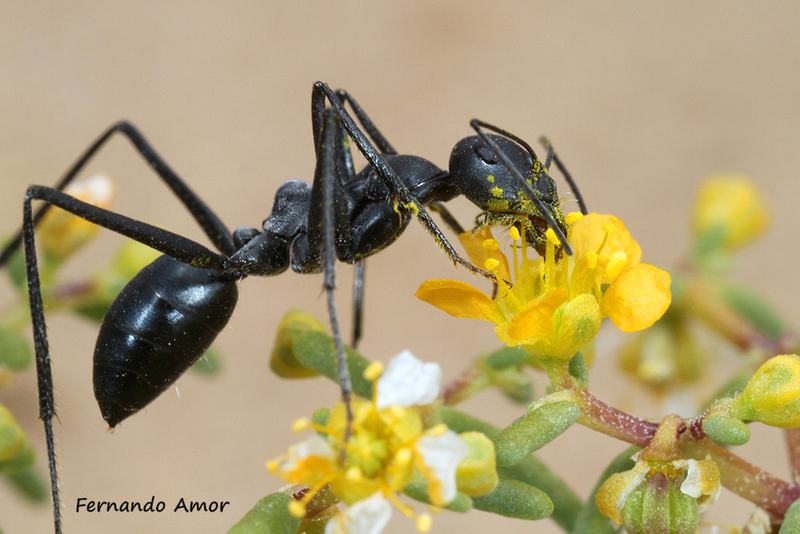 The invasive Argentine ant (Linepithema humile) is less preferred than native ants by native predators. 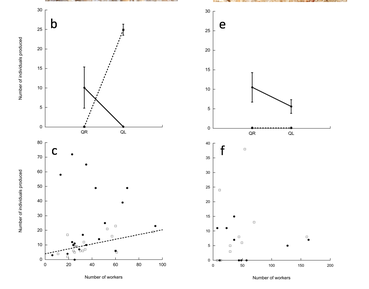 Native myrmecophagous toads showed lower prey preference to the invader irrespective of previous contact and the learning process. 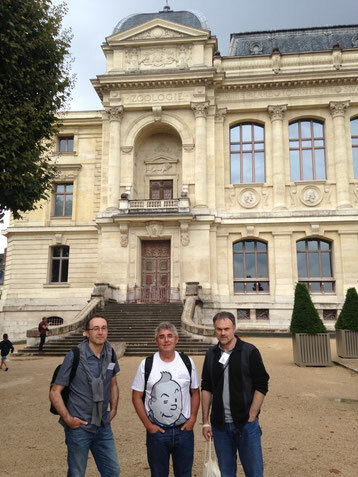 Xim, Cristela, Léa and Raphaël attended the 29th UIEIS-SF conference organized by Claudie Doums, Thibaud Monnin and Mathieu Molet at the National Museum of Natural History in Paris. On the picture, Bernard Kaufmann, Tintin and Thibaud Monnin. 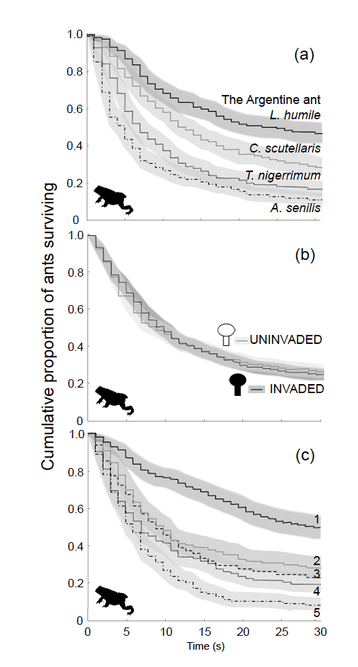 Paloma and Sara just published a popularizing science article on invasive Argentine ants. It is really interesting (in spanish). 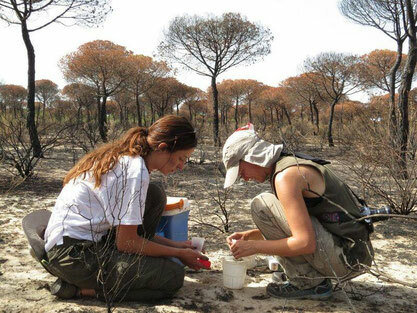 Irilena Linardaki and Marit Kelling have just finished their last pitfall sampling in the recently burned area near Moguer (Doñana). 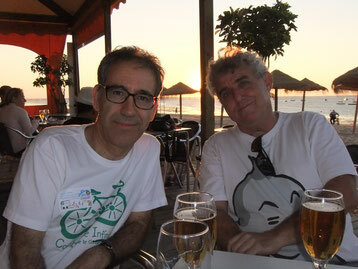 Both have been with us during several moths and have provided a great great help, in particular to Jota. Thank you very much for your help. 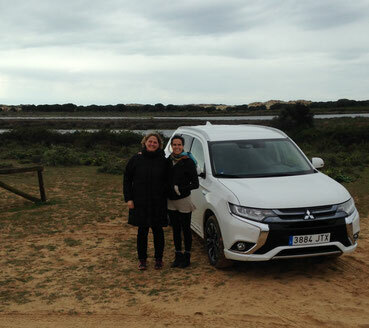 Hope this experience in Doñana will serve you for your respective careers ! 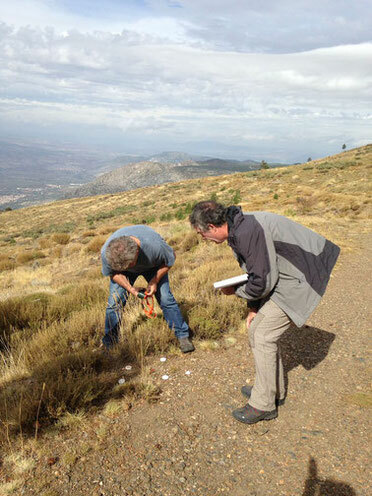 While she was in the field at the Mirador of Lanjarón (Granada) Irene observed the interesting behaviour of this Tracheliodes wasp. This wasp predates on a Tapinoma. Its hunting behaviour is very efficient. 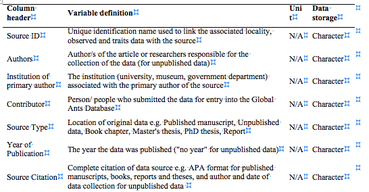 For more information, you can read the very interesting document of José María Gomez Durán. 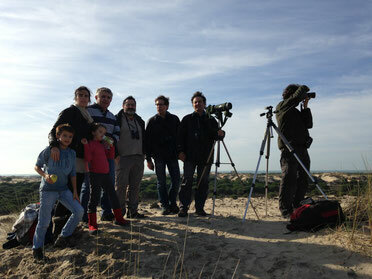 Another video of Tracheliodes by Paloma in Doñana. July 12 - 14 TAXOMARA. 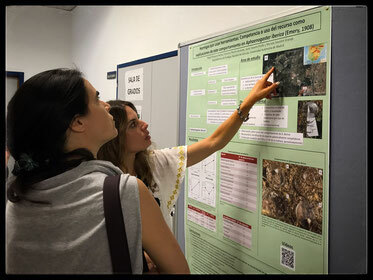 Xim, Elena and Nuria Polo attended the XII Iberian Congress of Myrmecology in Madrid. 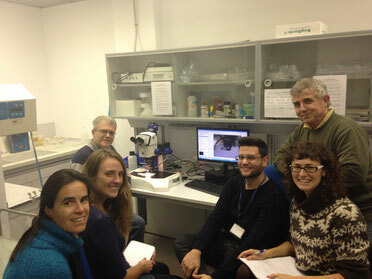 A great opportunity to exchange with spanish researchers interested in ant ecology. 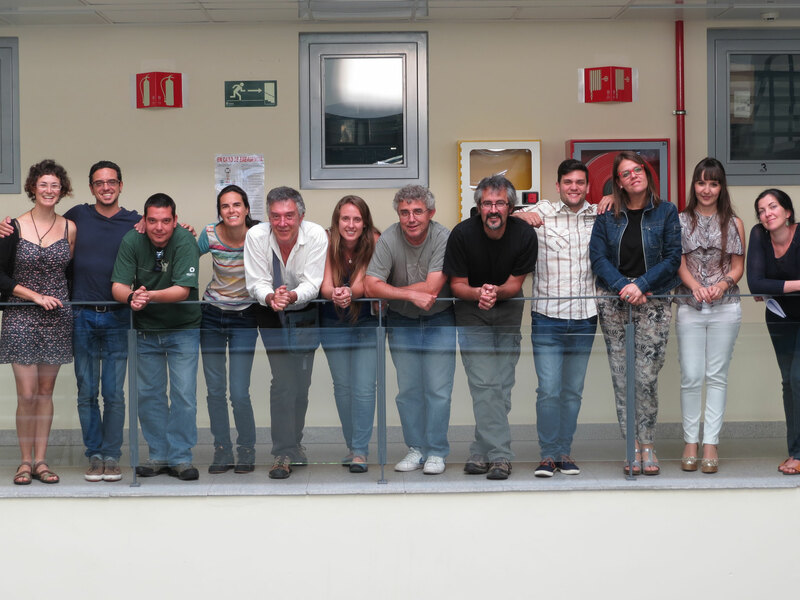 The congress was organized by Paco Azcarate and Javi Seoane en la UAM. 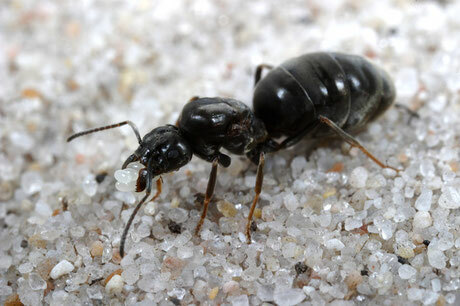 The GAGA consortium publishes a note in Myrmecological News. 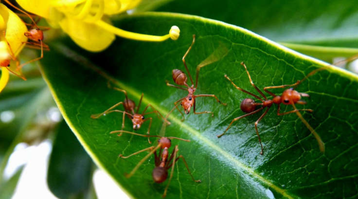 The aim of the consortium is the sequencing 200 ant genomes. 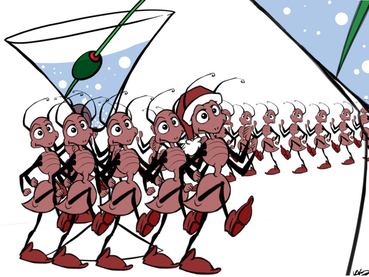 Global Ant Genomics Alliance. 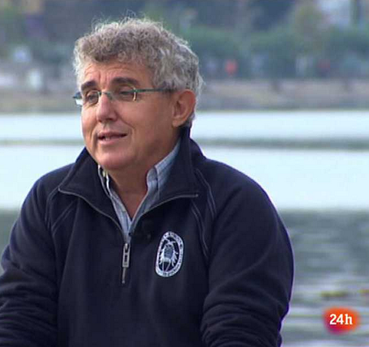 The brain hunter (El cazador de cerebros), a Spanish TV program, visited Doñana National Park to interview Elena Angulo about the Argentine ant and the biological consequences of its invasion. The episode deals with “The future of the Planet” and Elena is going to share limelight with eminent Prof. Edward O. Wilson! 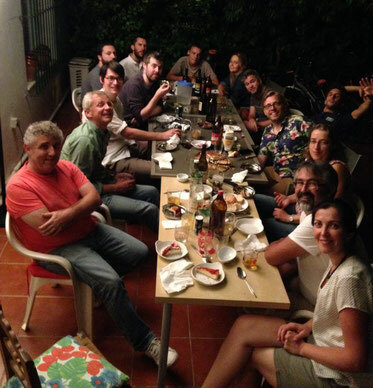 Celebration in Xim and Elena's house with all the Cataglyphis research group featuring Paul, Mike, Cornelia, Antoine and many others. Great to see you this year again!!!! 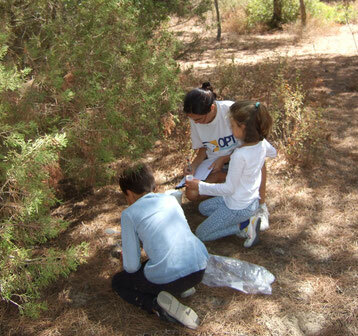 Irene, Fernando and Raphae¨l were collecting Cataglyphis rosenhaueri in Sanlucar de Barrameda. Not too hot these days. 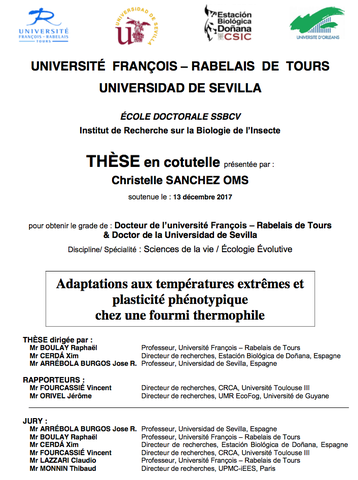 Léa defended her master thesis at the university of Lyon. She did an excellent work. Wait for the publication! 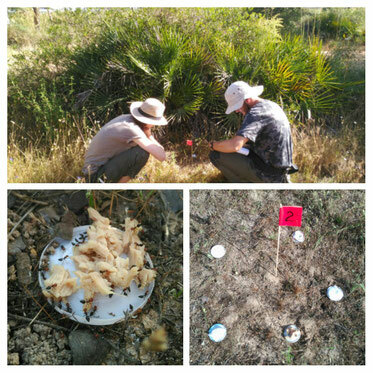 Jota and Merit are using food baits to monitor ant interactions in burned regions of Andalucia. Here, Crematogaster scutellaris is recruiting on tuna fish. Sara is visiting Kailen Mooney's lab at UC Irvine. 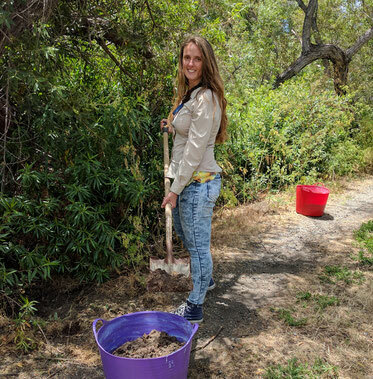 She'se digging Argentine ant nest for her experiments. Good luck! 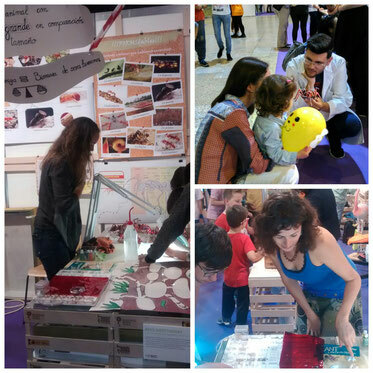 Jota, Paloma and Lea were at Seville Science Festival were many children could enjoy and discover the extraordinary life of ants. African bees produce a lot of honey but they're also a bit aggressive. Marit Kelling assists the team as a trainee this summer. 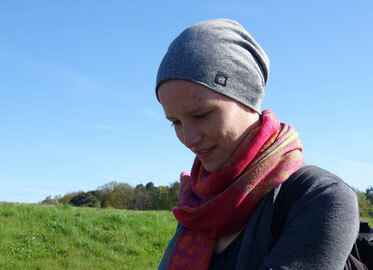 She studies landscape ecology in Mûnster, Germany and is at the end of her bachelor program. FIELD in Sierra NEVADA featuring Léa, Irene, J, Raphaël (and Anaïs). 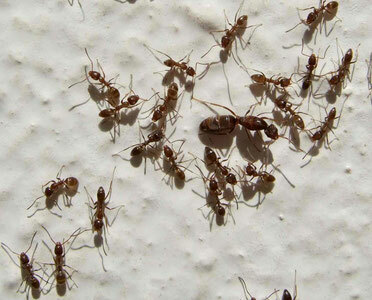 The weather is good and we have lot's of ants. 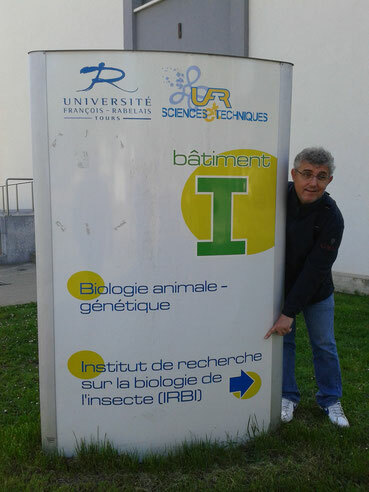 Franck Courchamp gave a seminar at the IRBI on ant profiling! Eirini Linardaki comes from London for an Erasmus + at the EBD. 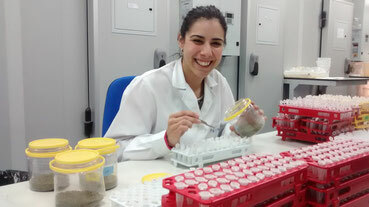 She will help J. in processing his samples of ants from burned plots. She will be with us until July 22th. 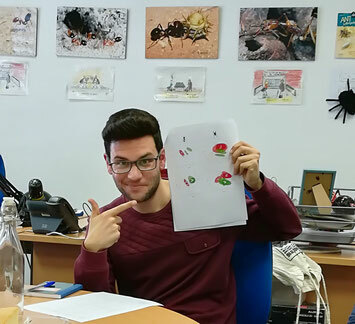 Fernando explains his results on the evolution of asexual reproduction in Cataglyphis floricola and C. tartessica to Gema trigos-Peral (Warsaw Museum of Zoology). 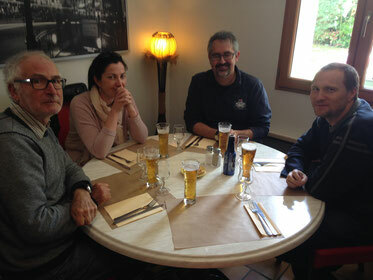 Xim and Abraham Hefetz also participated to the 7th Central European Workshop of Myrmecology in Kraków. 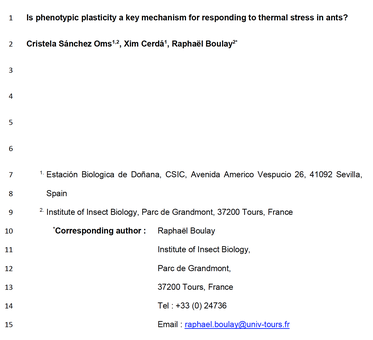 NEW PUBLICATION: Is phenotypic plasticity a key mechanism for responding to thermal stress in ants? 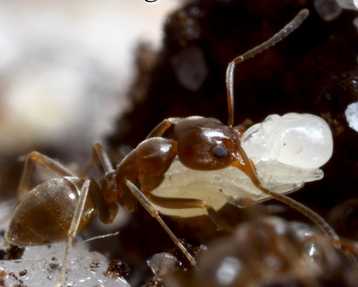 In Cristela's first thesis paper that will be published in Naturwissenschaften, we show that ants reared at a greater temperature tend to have a smaller body size; yet they are also more resistant to heat stress. Xim just arrived at the IRBI. 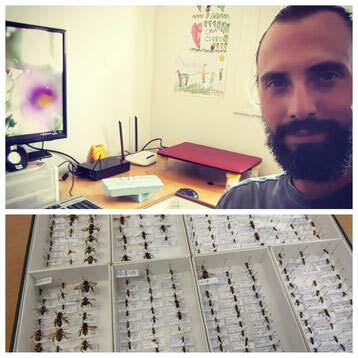 He will be there for one month and work very hard on a couple of manuscripts with Cristela and Elena on the eco-temperature of Aphaenogaster species. 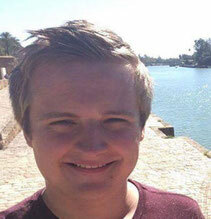 Maciej Barczyk is an Erasmus student who joined EBD last week. Though his main project will be on bees, he will also collaborate with the ant group! Welcome Maciej. Romain and Melissa are installing pantraps along the Loire river in Tours. They are collaborating on the bee project for their M1. 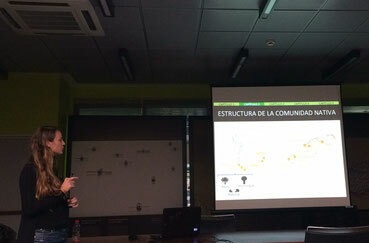 María del Carmen Ramírez Soto incorporated the ant group in Sevilla for a few months. She is substituting Ana who got a baby! 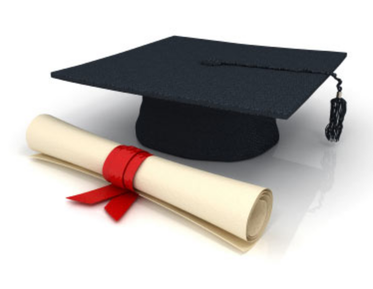 Yongzhi Liu is a student at Polytech'Tours. 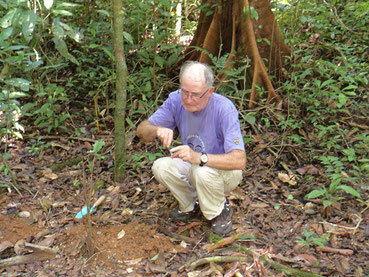 His projectm supervised by Nicolas Monmarché, is the development of an automatic system of ant detection for field studies. 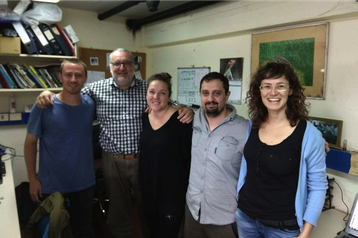 Cristela travelled to Coppenhaguen to work with Jon Shick on ant respirometry. The EBD just received a brand new toy that will save a lot of time. Léa has the honor to use it for the first time. 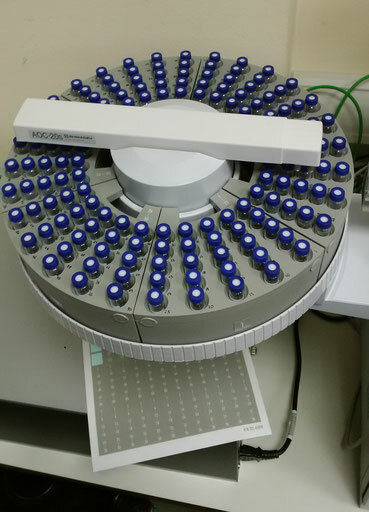 Running her 840 samples in the GC will just be so cool, now! 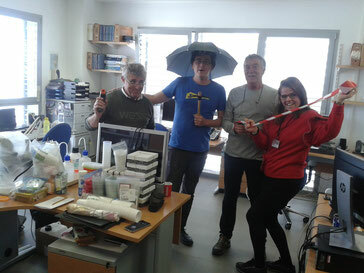 Jota is really a great myrmecologist! 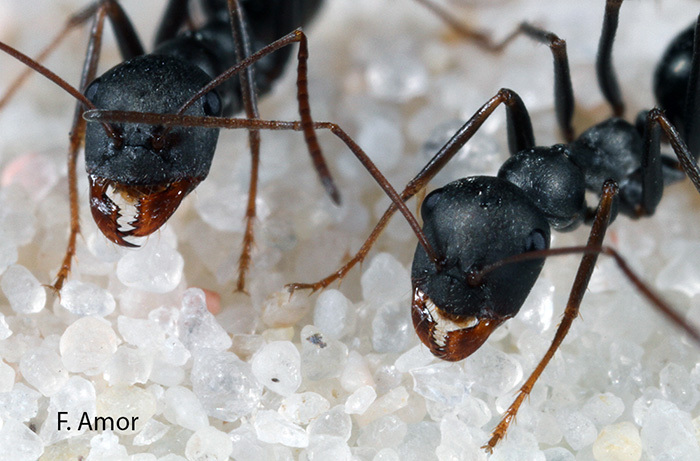 He has trapped and identified more than 40,000 ants. Some are really rare and suprising. Do you guess who they are??? Aimee Classen visited us at the EBD. She gave a seminar and met young group members. Prolific and interesting (in spite of the rain)! 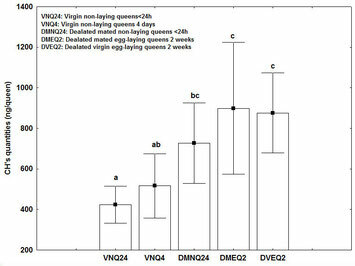 Production of male and female offspring in QR and QL groups of C. tartessica (a-c) and C. floricola (d-e). Graphics b and e show the average number (± SE) of females (plain lines) and males (dotted lines) in QR and QL groups. Graphic c shows the number of individuals produced in C. tartessica QR (plain symbols – females) and QL groups (open symbols - males), respectively. Graphic f shows the production of females in C. floricola QR (plant symbols) and QL groups (open symbols). Ángela, Jorge and Pablo joined us. 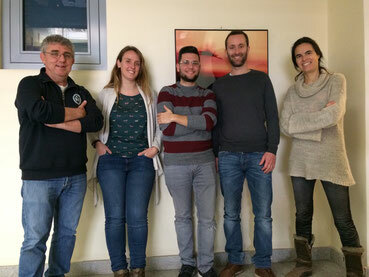 They are biology students from the University of Seville and they are going to help "J" with the processing of samples collected last summer. They'll be with us for 4 months. 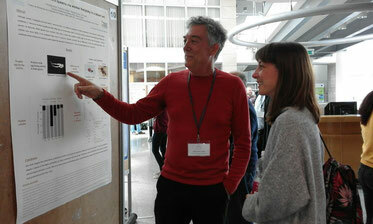 Olivier Blight, a former Post-Doc in the Ant Ecology group visited the EBD and participated to the MEDECOS conference. LIVING IN AN INVADED AREA?!! 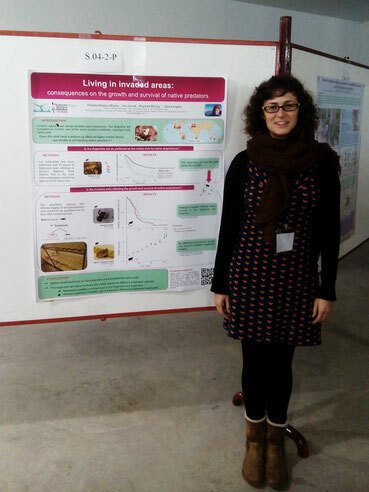 Paloma was awarded the best poster at MEDECOS. Enhorabuena! Cristela is giving her talk at MEDECOS. Great job! Another lab meeting today with the almost entire group! Xim is at the opening ceremony of XIV Medecos & XIII AEET meeting ("Human driven scenarios for evolutionary and ecological changes"). 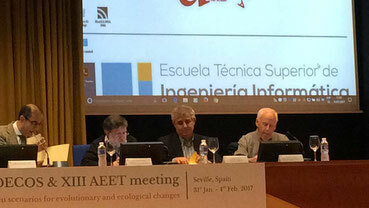 To his left, Philip Rundel (president of the International Society for Mediterranean Ecology), to his right, Paco Lloret (president of Terrestrial Ecology Spanish Association) and Miguel Angel Castro (Rector of the University of Seville). 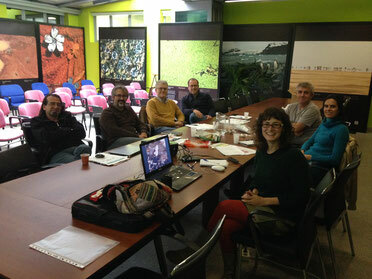 Cristela, Paloma are attending the meeting in Sevilla. 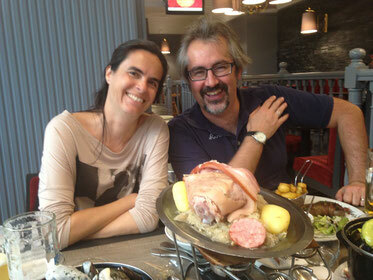 Olivier Blight is also coming from Avignon to participate too. Sara gave her seminar at the EBD today. Full audience! 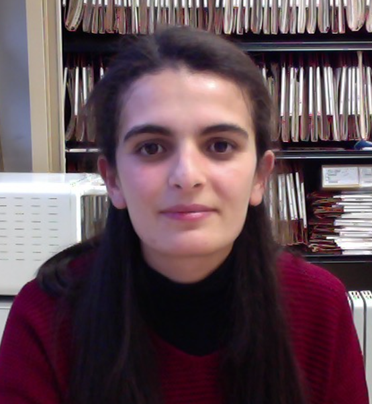 Léa joined the Seville lab for her master degree. 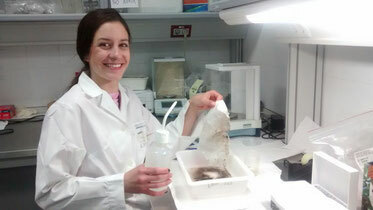 She will work on Aphaenogaster ants. 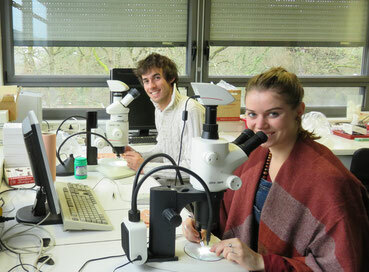 Mathilde and Lucas have joined the Tours lab last week. 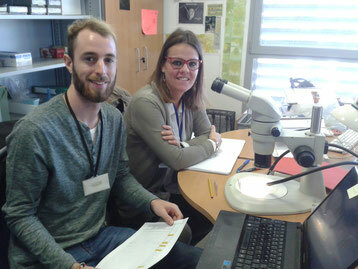 They are working hard to measure ant morphological traits. They'll be with us for 3 months. Merry Xmas and happy new year to ALL. Waiting for 2017 coming soon and being even better than 2016! Great! 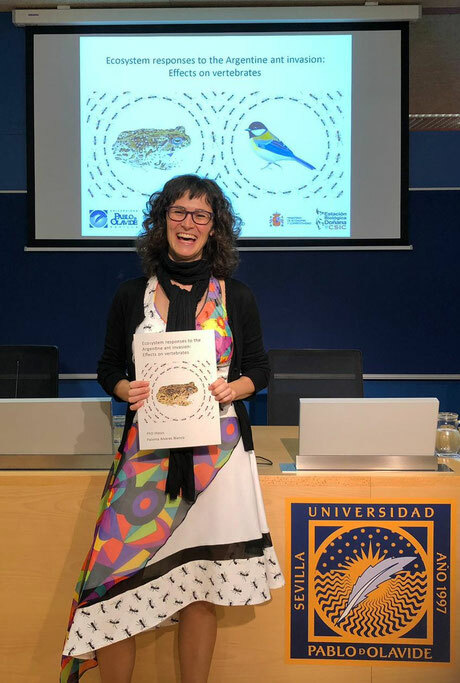 Sara has a new accepted publication on the conservation of endemic butterflies in Spain. 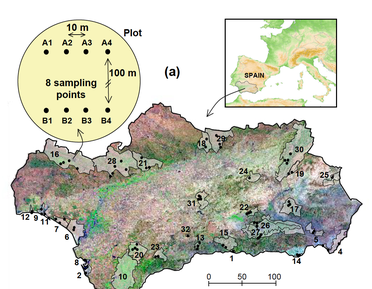 The paper summarizes the Species Recovery Plans produced for the endangered and endemic butterflies in Spain (Polyommatus golgus, P. violetae, Agriades zullichi and Euchloe bazae). 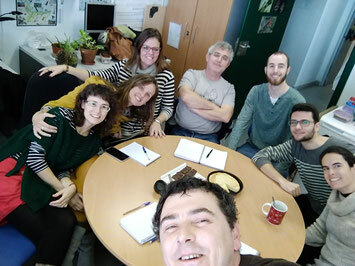 The paper is entitled "Ecology and recovery plans for the four spanish of engangered endemic butterfly species"
Paloma's comitee (Ivan Gomez, Joaquin Reyes, Pepe Tella, Xim, Raphael and Elena) is meeting for the second time. Paloma, you're going in the right direction! Joaquín Reyes (University of Cordoba) is giving a private class on the determination of Temnothorax / Leptothorax ants; A rewarding experience! MUBARAK ALI is arriving to Tours. 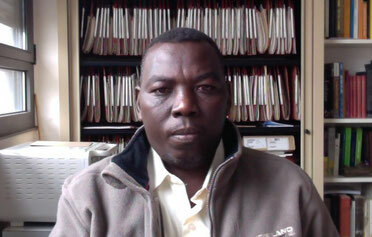 he is starting a ph-D thesis on the honeybees of of Dinder National Park, Soudan. Welcome Mubarak! 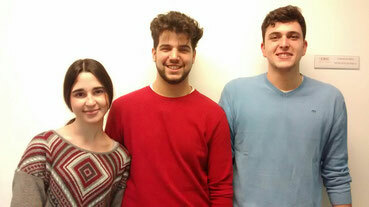 DALLILA DJENNOUNE arrived today from the University of Tizi Ouzou (Algeria) to Tours. She will stay with us about 3 weeks. 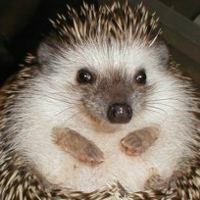 She's studying hedgehogs' predation on ants and has exciting data. 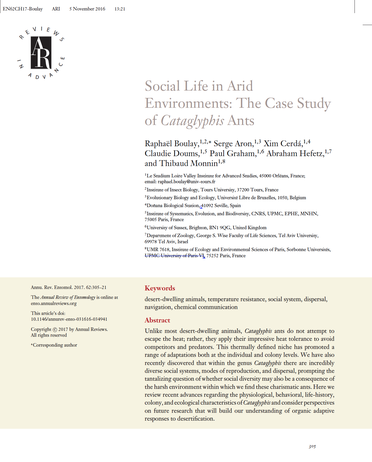 We received the proofs of the Annual Review Paper on Cataglyphis ants. The final version should be available online in January. 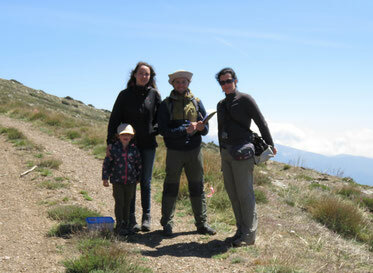 Sunny weekend in Sierra Nevada mountains doing ant baiting and taking samples of ant colonies in an altitude gradient. Temperatures of more than 40 degrees were measured! FA, RB, IV, XC, EA and the children! 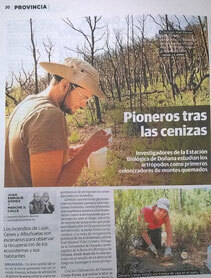 JOTA and DAMARIS are in the local News Paper of Granada for their research on ant recolonization of burned pine forests. WILL NAIRN joined us. He comes from UK for an Erasmus + at the EBD. 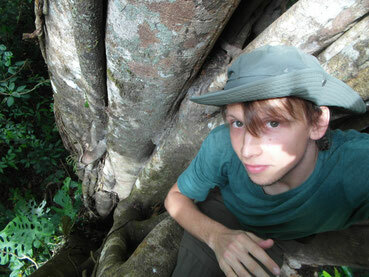 He will collaborate with Jota with ant identification. He should be here until Christmas. 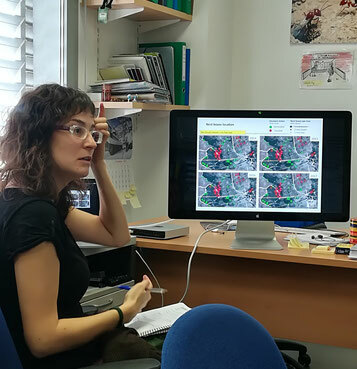 SARA IS IN THE NEWS PAPER: An article has been published this summer in a local News Paper of Ibiza (in spanish) on the research conducted by Sara Castro on the impact of invasive species on this Mediterranean Island.